Cape Town’s dominance within the global design industry will resonate throughout Africa’s largest décor, design and lifestyle exhibition as leading influencers display their take on this year’s theme – Designing for Africa – feels like home. 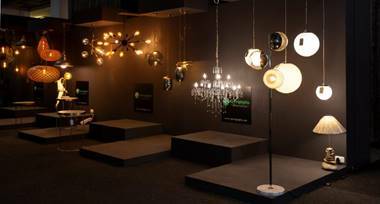 Decorex Cape Town, taking place at Cape Town International Convention Centre from 1 to 5 May 2019, is set to shine a spotlight on the unmatched local talent through a full feature programme, proving exactly why this city is considered the design capital of South Africa. 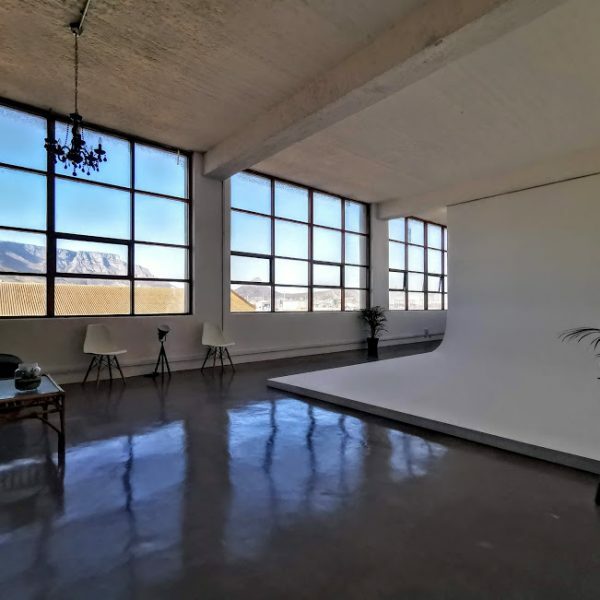 “Cape Town has long been considered the vanguard of design and style in Africa with its fusion of cosmopolitan sophistication and earthy Africanness,” explained Sian Cullingworth, Portfolio Director at Reed Exhibitions. “This unique essence has made Africa accessible on a global level, allowing other countries to incorporate and adapt the continent’s interior designs. We are very excited to see the city’s take on the Decorex 2019 theme and the intercontinental impact it will make.” Characteristic of the Decorex brand, the 2019 exhibition programme boasts a full line-up of inspired new features that reflect upcoming trends in a localised setting. Some of the key features include: • Decorex Urban Living Trend House with Sevens • InStudio Trend Theatre by ABSA • Children’s Playroom & Décor Project • The Kitchen Design Project by the Studio Collection • The Lighting Project by Fundi Light & Living • The Trend Kitchen with Space Interiors • The Bathroom Project • Maison&Object Pavilion • Jacobs Gourmet Cooking Theatre built by LUSSO Luxury Living • Decorex International • Wine + Bubbly Bar furnished by Homewood • The Rummery & Gin Garden • Design + Dine Restaurant + Bar • The Harvest Table • The Illy Experience • #withlovefromDecorex with Eleven • Past Paint Nite In addition to the features’ programme, visitors will get to interact with some of the city’s most innovative trade leaders – revolutionising the design, build and . 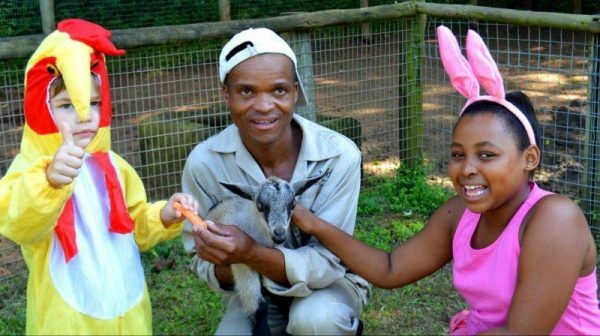 . .
It’s all about family-time fun at Crocworld Conservation Centre, based in Scottburgh, as the Easter Holiday Programme gets underway from Friday, 19 April to Sunday, 5 May. “Holiday-makers to the KwaZulu-Natal South Coast are really in for a treat - we’re going all out this year with interactive and exciting entertainment for children of all ages,” said Martin Rodrigues, Manager of Crocworld Conservation Centre. “This is a great opportunity for youngsters to have some outdoor fun in a fantastic coastal setting, all the while learning about some of the amazing animals from the area.” The 2019 Easter Holiday Programme will include: • Daily crocodile feedings at 11am and 3pm. • Daily snake demonstrations at 10.15am – learn all about the various snake species and what to look out for. • Guided forest walks at 12pm – view the diverse bird and wildlife in their natural habitat. • Vulture feeding and talks on Mondays, Wednesdays, Fridays and Sundays at 2pm. On Sunday, 21 and Monday, 22 April, following the crocodile feedings at 11am and 3pm, visitors to Crocworld Conservation Centre will get to meet an animal of a furrier kind – the Easter Bunny! This friendly chap will be handing out Easter Eggs to the children, so be sure not to miss out. Visitors are also welcome to stop in for a quality meal or quick bite-on-the-go at Fish Eagle Café. Situated within the centre, overlooking the crocodile enclosure and with stunning ocean views, Fish Eagle Café promises exceptional food and service in a gorgeous setting. Crocworld Conservation Centre is open from 8am to 4.30pm daily. For more information about the Easter Holiday Programme and other Crocworld events, visit www.crocworld.co.za, @CrocworldCC on Twitter, or Crocworld Conservation Centre on Facebook. CLICK HERE to submit your press release to MyPR.co.za. . . . It was non-stop inspiration at this year’s Decorex Durban as 21 628 visitors streamed through the doors of the Durban Exhibition from 21 to 24 March, taking in 2019 trends showcased by Africa’s leading décor, design and lifestyle exhibition. 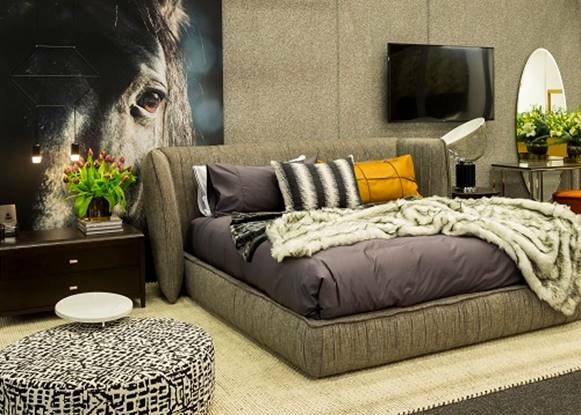 “The ‘Designing for Africa - feels like home’ theme was so beautifully incorporated into every aspect of this year’s Decorex Durban and visitors – which increased from last year - really responded to this unique take on modern trends,” said Sian Cullingworth, Portfolio Director at Reed Exhibitions. “Continental leaders in décor products and design visionaries worked together to curate some of the most inspired features, with this year’s show differentiator most certainly being the flavours of Africa reflected throughout.” This year’s African-style designs formed part of the extensive Decorex Durban features’ programme. In the home Welcoming visitors through the doors of this year’s exhibition was the Entrance Feature by Kipekee Studio, showcasing handcrafted furnishings by a Durban-based family. Organic elements alongside other 2019 décor trends – Surface Tactility, Abstract Art and Gen-Z Yellow - were then revealed in the Decorex Urban Living Trend House with SHF under the curative eye of Decorex Creative Director, Anita Bloom. Decorex Urban Living Trend House. Turkish linens were a central feature at this year’s Bedroom Project, styled by the Durban-based Cottonbox Bedroom and Accessories, while ‘The Queen of Bedroom Success’ – Jennifer Jones Interiors– impressed audiences with her unique style in the popular Decorex Designer Spotlight. A popular item on the features’ line-up was The Playroom Children’s Décor Project where Perfect Imperfect, New Harvest Furniture and Lou Harvey unveiled the latest in children’s décor trends. And for those seeking some bathroom-style inspiration, Shower Haus, Cas Tiles and Real Natural Stone reflected how luxurious this space can be in the Bathroom Project. Highlighting . . .
Omaha, NE, Mar 25, 2019 -- FTB Pathway Publications is proud to announce the latest release of Pathway to the Stars: Part 6, Erin Carter -- a continuum to the revolutionary Space Opera series 'Pathway To The Stars' by Sci-Fi & Fantasy Author Matthew J Opdyke. This is the sixth in the "Pathway to the Stars" space saga booklet series. There is a lot for Vesha to learn, and she will become phenomenal, as this story progresses. Each ability she experiences in others, her optimized mind will be capable of learning and expounding upon. Vesha learns about Erin Carter, as she journeys with her dream-angel, Sky, in training with Yesha Alevtina, the President of a futuristic organization called Pathway. Yesha shows and teaches Vesha about a darling young girl and genius, named Erin Carter. It is Amber Blythe's primary mission, to develop a cure for Hutchison-Gilford-Progeria Syndrome. What's more, she will need a dual cure. 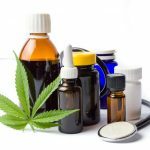 This must be something that will be immediate, using Pathway's biopods, and equally viable using legacy laboratories and systems, which are considered the highest tech in the public world. With the early signs of the diseases of aging taking a toll on young Erin, it is a race against time to ensure she can realize the full potential that Eliza Williams, the founder of Pathway, sees in her, when it comes to loving and saving the Universe one scientific achievement and step at a time! Enjoy Erin's beginning journey, in the sixth of a multi-story series, called Pathway to the Stars! "We can guide you, we can answer questions whenever you have them, but the greatest learning comes from freedom." ~ Eliza Williams, "Pathway to the Stars: Part 6, Erin Carter" It is now available on Amazon in eBook and paperback formats! Paperback: https://www.amazon.com/dp/1091095426 eBook: https://www.amazon.com/dp/B07PXHJ82N This Space Opera series will attract readers with a creative mind and a passion for looking at the world with a new vision of . . . Smile 90.4FM, Cape Town’s fastest growing radio station, has been nominated for two prestigious Liberty Radio Awards. We are honoured to be nominated in the Community Project category for the Smile Water Warriors Project. 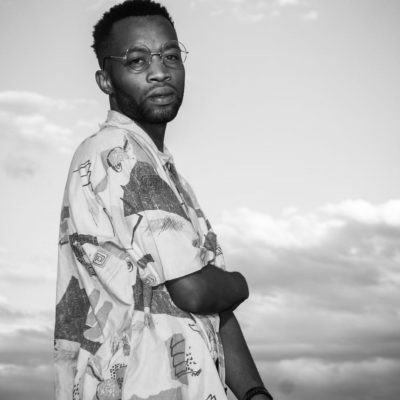 When the water crisis reached its most critical level in Cape Town in 2018, Smile 90.4FM Water Warriors united Capetonians like none other campaign had ever done. The Water Warriors was more than a campaign, it was a movement that galvanised Capetonians not only to save the most precious commodity – water – but also created a mindset shift in our behaviour! Thousands of people joined the public group on Facebook, taking the pledge to make every drop count. “As one of the youngest stations playing in the commercial space, I am delighted that we are able to take an active role and get acknowledgement for our efforts through achieving 2 nominations. The Smile 90.4fm family worked tirelessly and were 150% committed to making a difference to the water crisis through our Water Warriors Campaign. 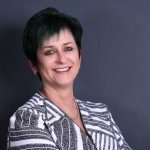 To receive this acknowledgement means a great deal to us all.” – Smile 90.4FM Managing Director, Lois O’Brien The Honest Truth with Benito Vergotine and Christine Wessels, received a second nomination in as many years nominated in the News and Actuality Show category. In an era of fake news and where ‘truth’ is debated, the Honest Truth aims to facilitate an honest and frank discussion that has the potential to keep our listeners accurately informed and entertained about the topical issues and trends of the day. “The honest Truth continues to challenge the norm and provide our listeners the opportuity to make informed decisions. It's fantastic to see the brilliant work done by Benito, Christine and the team is being appreciated by their peers and the industry.” – Smile 90.4FM Program Manager, Naveen Singh. Our broadcasting philosophy is based on the values of optimism and positivity hope. We fully embrace the mandate we have - to entertain and add . . .
Don’t miss out on the #SCBF19 Early Bird Ticket Special running until Monday, 1 April. Book your tickets now at www.southcoastbikefest.co.za and save! If you’re in the mood to watch some crazy stunts on high-powered machinery performed by South Africa’s best thrill-seeking riders, then this year’s South Coast Bike Fest™ (#SCBF19) powered by Gearhouse Full Throttle Entertainment Zone is the place to be! South Africa’s biggest motorcycle and music festival - presented by Ugu South Coast Tourism - will return to Margate on the KwaZulu-Natal South Coast from 26 to 28 April. 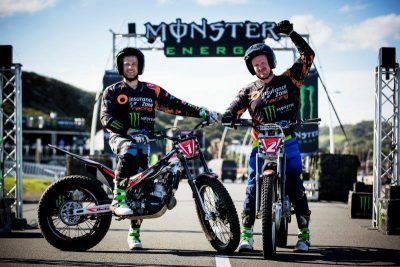 Bruce and Brent Le Riche South African motorcycle trials’ champions, Bruce and Brent le Riche, will be putting on a high-impact, interactive show with a series of new tricks – including the 3.7m-high undercut ledge. “This is a coastal event with a great track record… who wouldn’t want to perform at such a show, let alone such a dream location! ?” commented Brent le Riche. “KZN spectators always get right into the vibe and are always ready for some daredevil motorsports!” King Donut Yamaha South Africa’s brand ambassador, Alfred Matamela – AKA King Donut – will put on a must-see performance burning rubber in his signature smoking style. “Last year, I rode the Yamaha MT10, and this year spectators will get to watch me on the incredible Yamaha R1,” said King Donut, explaining that this is the bike ridden by Yamaha Moto GP racer, Maverick Vinales. “I enjoy participating in the annual South Coast Bike Fest™ because it’s such a great place to watch upcoming talent. It’s a festival I look forward to every year! The past experiences of performing here has been life changing and I am honoured to be able to work with such amazing people.” ShredBettys The country’s top all-female biker crew will return to this year’s South Coast Bike Fest™ to showcase their off-road racing skills. Audiences can look forward to a high-energy performance by stunt rider, Skinny van Skalkwyk, as well as demo . . . Granite and engineered stone have long been the material of choice for countertops, but as trends have begun to demand a cleaner, sleeker look, there has been a need for a hardwearing surfacing material similar to stone, but in a thinner format. 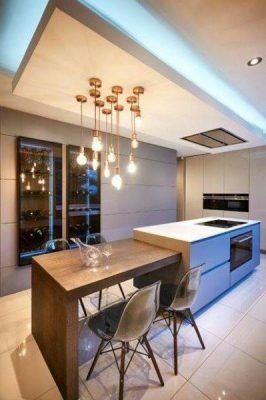 “Porcelain or sintered surfacing has arrived on the market as the ideal kitchen countertop solution,” explained Stephanie Forbes, National Manager of the Kitchen Specialists Association of South Africa (KSA). Maintaining a strong presence at Decorex 2019, KSA is a non-profit organisation that ensures an elevated standard of service and products within the kitchen industry. Experts from KSA will be available at all Decorex exhibitions, offering useful tips and tricks for renovations and builds from the KSA Kitchen Advice Centre. Here KSA outlines the latest trend in kitchen design: Sintering hot trend Sintering has been around for a long time and is most commonly seen in products like porcelain. It is a method whereby natural materials, in powder format, are processed under heat, pressure (or both) to create the desired product. Sintered surfacing is comparable to porcelain ceramic tiles but with enhanced characteristics – sintered surfaces are thin, lightweight, stain-resistant, scratch-resistant, as well as chemical and heat-resistant. The reason for these benefits is that the mineral components are carefully selected – silica, quartz and feldspars are used to provide hardness, strength and chemical resistance. Clay can be added in the process to give a little more elasticity. Other minerals are included for their pigmentation, creating a variety of homogenous colour options, all of which are UV-resistant. These minerals are ground extremely smooth for sintered surfacing and only the purest of minerals are used. The dense nature of sintering makes it almost totally waterproof so no sealants are required, and the firing process makes it non-porous. Clean material for a clean kitchen Sintering is made . . .